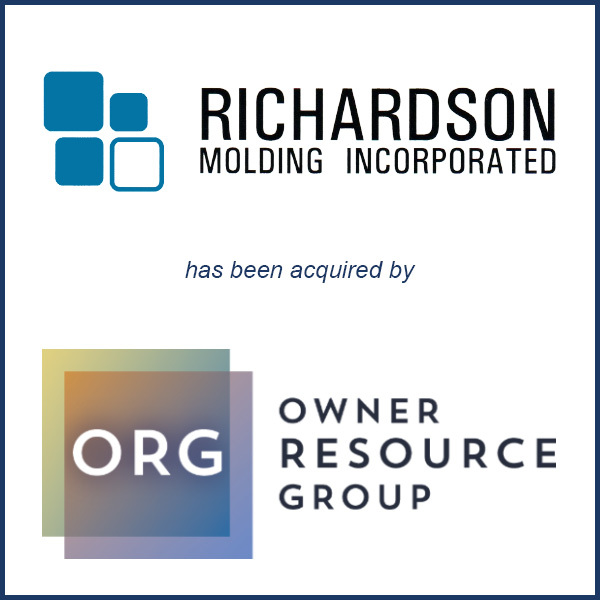 Columbus, IN – January 2017 – Owner Resource Group of Austin, TX has acquired Richardson Molding Incorporated of Indiana and Mississippi, maker of injection molded parts, primarily for the lead-acid battery market. Owner Resource Group Managing Director, Jon Gormin, indicated the company has a strong position in its markets and room to grow. “Over its history, Richardson Molding has built a leading position and reputation within the industry, serving a strong base of premier OEMs and utilizing proprietary molds and manufacturing techniques,” Gormin said in a statement. The new owners “strongly believe that the company is well positioned for growth within its existing and new end markets,” he continued. Molding Business Services of Florence, MA served as the exclusive adviser to Richardson Molding in connection with the sale. The above excerpts were taken from the following two news articles published by Plastics News. Click below to read the full articles.